Sometimes, a business owner gets a great opportunity. There's a lot of excitement, but then, it doesn't pan out. The difference between successful companies and flops is in what happens next. That's what Nashville chef Shawn Davis learned recently. He was lucky enough to score a slot on the ABC reality-TV show Shark Tank last May. He asked the show's hard-nosed investors for a $200,000 investment in exchange for a 40 percent stake in his company, CBS Foods. He was hoping to use the money to market a shrimp burger he had created. The burger was a local hit, but sales to that point were just $30,000. Davis, or "Chef Big Shake," needed money to market the burger more widely. The Sharks weren't biting. Davis walked away empty-handed. On tomorrow night's Shark Tank episode, the show updates viewers on what's happened since Davis got stiffed on the show. I had a chance to talk to Davis about how his quest to find investors turned out. Davis says he knew the real opportunity wasn't necessarily in getting money from the Sharks, but in just appearing on the show. He understood the law of publicity: All publicity is good publicity. His wife and daughter were crushed when he didn't get funding from the Sharks, but Davis kept a positive attitude. Even though the Sharks were thumbs-down on his four-year-old business, appearing on the show was like "a three-minute commercial for me," Davis says. "You can't pay for that type of exposure." Sure enough, other investors thought the Sharks had missed an opportunity. They may have a lot of swagger and high profiles, but apparently viewers don't necessarily think the Sharks are oracles of all knowledge. Davis says he got more than a dozen phone calls after the show from other interested parties. The best part: He ended up hammering out a deal for more money and giving up less equity from the investor he chose off-screen. Company valuations are apparently better when you're not on camera. "I went with [an investor] who understood our vision of where we want to be five or ten years down the line," he says. Now, Davis is marketing his shrimp burger up and down the east coast -- landing his frozen patties in major grocery chains along the way. 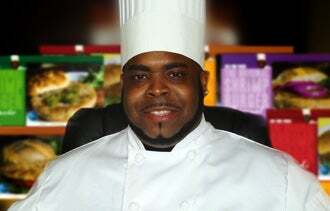 In 2012, Chef Big Shake is projecting $6 million in sales. How have you used publicity -- good or bad -- to grow your business? Leave a comment and share your success story.